The problem? These events are a ton of work to put on, especially if you want to have a flawless silent or live auction and fund a need included. Galas can also come with a steep learning curve and can be HUGE money pits if you don’t know what you’re doing. In fact, here are some of the biggest signs you might not be ready to host a gala. While it might seem like every other nonprofit has a gala and they’re swimming in money like Scrooge McDuck, it’s actually difficult to know how well they’re really doing. Most organizations with successful events say that it took them years of trial and error to come up with the perfect event for them. YEARS. The reason these super successful events work the way that they do, is because you really have to spend a ton of time getting to know your supporters, finding out what they’re interested in, and then building the perfect event for what they want. And the big secret- sometimes a gala is the exact opposite of what your tribe wants! Have you ever been to a sit down dinner with dry chicken and boring speakers, where you just waited for a polite time to go home? Yeah, I have. It’s no bueno. 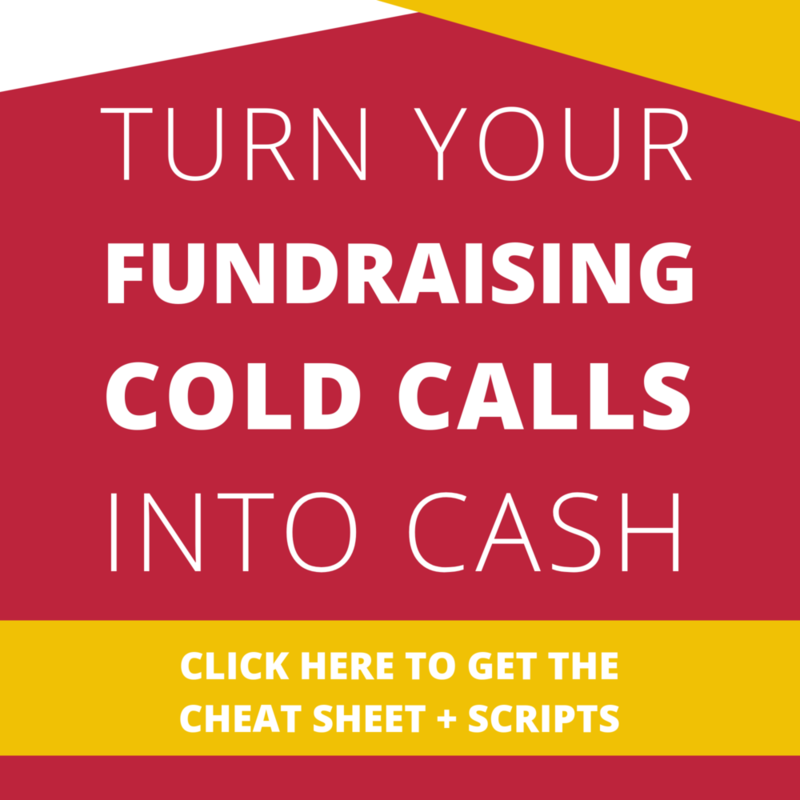 For some groups, the traditional, structured fundraising event works well because it’s the experience that their supporters are used to, and that they want. But more and more nonprofits are finding that the days of the cookie cutter fundraising gala are dying out, especially for organizations trying to attract more millennials. This is awesome for you because it means that you can stand out by really getting to know your people and turn them into raving fans by giving them an experience they actually want. Being unique and interesting is easier than ever now! 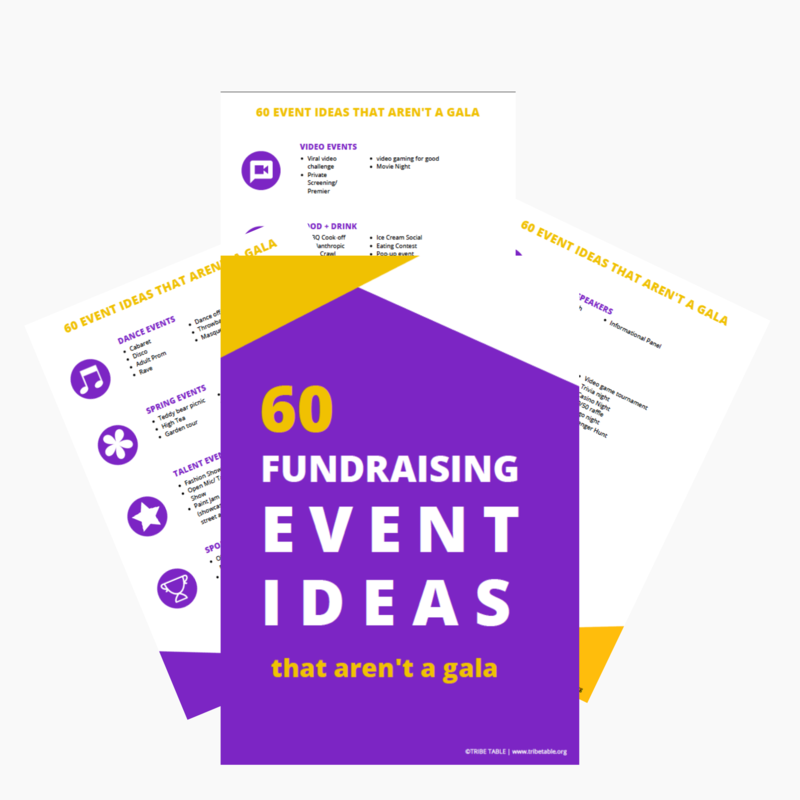 Here are 20 event types that you can use in place of the traditional gala. 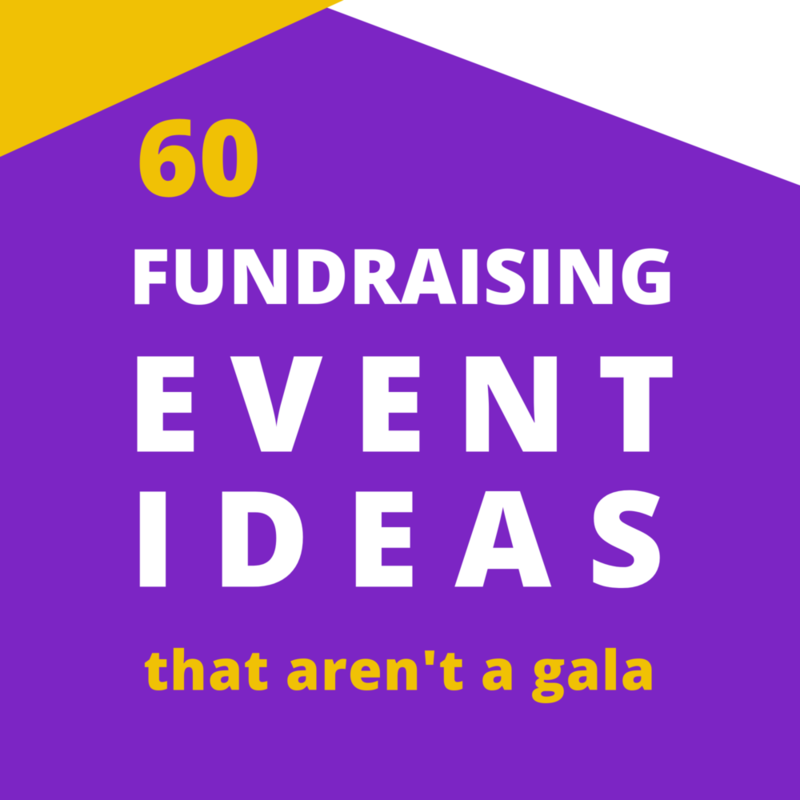 Any of them can have fundraising built into them, or be events that give you ways to connect more with your community. Some are small, easy events that you can plan with friends. Others are larger events fit for a big database of supporters. If you have your heart set on hosting a gala, these events are also great ways to lead up to finding out what your people are interested in, and will help you figure out the spirit of your signature event. Please note, these are just ideas to get you going. I don’t recommend trying them all- just stick with the one that you think would be fun for your tribe. 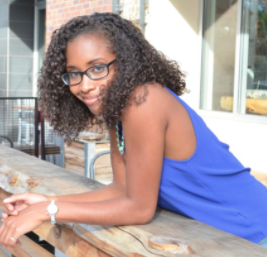 These events are great when you want to work up to a gala, but are still getting to know who your supporters are, and what they might like to know more about. You can skip the formal sit down dinner, and have passed appetizers or a buffet table instead. Since the expectation is that guests will be snacking, you can save a lot of money this way on food alone. You can also book part of a restaurant for your event, which means a much cheaper venue cost. Mixers and receptions also have much shorter speaking programs (if they have one at all) than your typical gala. The idea is that people can mingle and get to know other people in the room. Just don’t forget to add a bar! Are your tribe morning people? A brunch is a great way to have a sit down program if you like, while also getting the benefit of lower food costs. Brunches tend to work well for groups made up of professionals, because they can happen during work hours like any other meeting, and people get coffee at the same time. Win! While golf tournaments often require more logistics, and often take the place of a gala as a signature annual event, they do really well with certain crowds. Just be sure that your tribe is made up of avid golfers. For this event to work, your guests have to love the idea of spending hours on the green. Even better if you can appeal to someone’s competitive nature. When was the last time you played kickball? Before I was invited to one of these, I’d have to say the last time I played kickball had to have been when I was 10 years old. I didn’t know what to expect, but ended up having a blast! This works really well for organizations with missions around health and physical activity. If that sounds like you, kickball or another sport like it can be a super fun way to engage your donors. You can have local companies sponsor “teams” and build their own roster of players. Then, all you need is a field where you can have a couple of games going at once, and you’ve got yourself a tournament. Here’s another idea for a more active crowd, but with a more laid back approach. Hosting a yoga class can be as simple as calling up a bunch of friends to meet you at the park, or as big as creating a multiple day retreat packed with different teachers on yoga, meditation, and mindfulness practices. This is a great way to have your guests giving and receiving gratitude. Are you working to give bikes to kids in low income communities, exposing communities to the joys of cycling and all of its health benefits, or trying to get people to stop using cars in urban neighborhoods? A cycling tour is a great option. I’ve seen organizations do small rides with kids for a school, and also seen people ride 100 miles to raise money in support of research for certain diseases. If your tribe is into bike rides, this is a great option for you. Many cities participate in running festivals now-a-days. This is great because you don’t have to build a whole event, you can just join in and start recruiting people to join your team. This option is so popular that there are tons of software platforms like Classy.org that actually allow people to fundraise on behalf of an organization while they train. If your tribe are outdoor enthusiasts, then this is the way to go. Think about it, if you and your people are all about lessening your carbon footprint, being out in fresh air, and enjoying nature, why force yourselves to sit in a ballroom for 5 hours? You don’t need to live like that. Group hiking or camping trips are an awesome way to connect with nature and build strong bonds with your fellow outdoorsmen at the same time. Depending on the size, hosting a picnic or bbq can be a breeze. If you have good weather this is a super family-friendly, laid back event. These are great if you want it catered, hire a catering truck, or happen to know someone who is a beast at the grill. If you want to throw a small fundraiser with some friends, you can just reserve a picnic area (or snag a free one), and even make it a potluck. In fact, that’s how Tribe Table originally started! Another popular spin on a picnic fundraiser is to have all guests put together a basket lunch, and then have everyone bid on the basket they like the most at the event for their lunch. Any way you decide to do it, picnics and BBQs are a great low-maintenance fundraising event. Just grab some compostable plates, cups, and utensils (because landfills!) and you’re good to go. 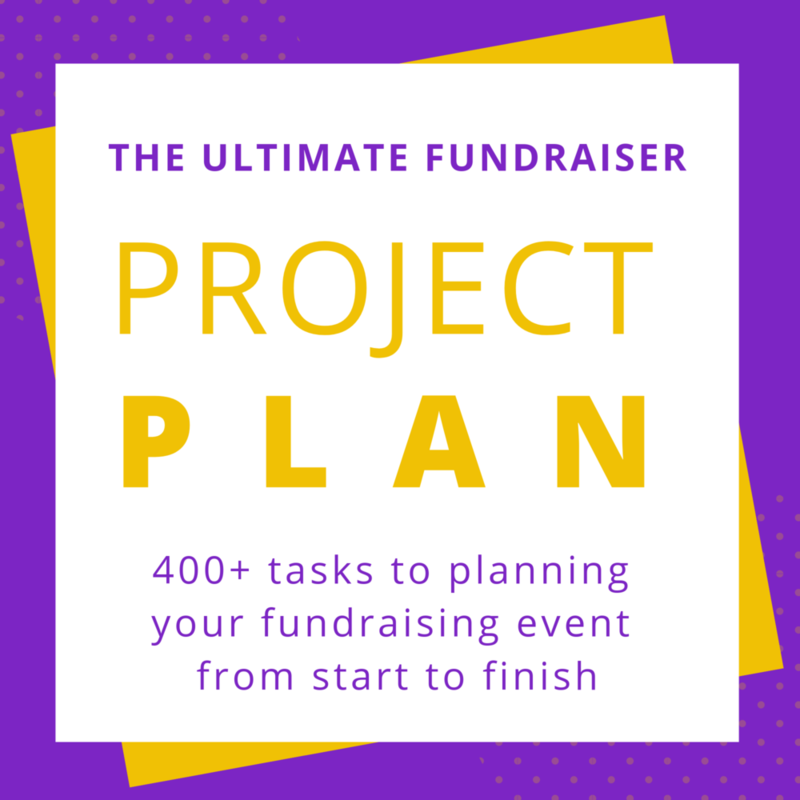 This one is popular for businesses that deal with sales and client relations and can definitely be applied to a fundraiser. Do you or anyone you know have access to an awesome suite for a local popular sports team? This can be a great way to bring supporters together for an experience most sports fans don’t get. If the suite has a bar, even better. You can choose to host the bar (aka pay for all of the drinks), or even have people still get their own drinks. This is a great way to either sell first come first serve tickets or to add an exclusive auction. Bonus points if you can give people access to things like meeting their favorite players on the team, or autographed memorabilia. Music is a great way to bring people together for an emotional, impactful experience. The cool part about this unique idea is that you don’t have to plan the next Coachella for this to work. If you have friends in cool local bands, or even have a school music program that you’re raising money for, a music festival fundraiser can be very flexible. You can host it outside in a park on a beautiful summer day, or even in a series of music rooms inside a building. Many schools actually use student artwork as auction items (because who better to bid on a 2nd grader’s sculpture than that kid’s parents? ), but you don’t have to stop at just putting things out on a table with bid sheets. Schools can create an experience of a real fair by having students make multiple of their wares to sell. This gives kids practice in sales (math), customer service, and communication. Not a school? Craft fairs are also an awesome low cost way to highlight local artists while raising money for a good cause. You can either charge artists for the booth space to pay for the event, or you make an agreement with them so that a certain portion of their sales is donated to the cause. This is one of the best kept secrets that bars use to pack the room, and can definitely work as a fundraiser. Contact a local bar and see if you can be the host of one of their trivia nights (which is a win for them because you will be inviting people who will pay for food and drinks), or host your own at someone’s house. I’ve even seen an online trivia night that took place with people from all over the world. They had everyone answer each question in a certain time limit to avoid the use of Google. Whether its international or local, all you need is a way for people to get tickets and a fun list of questions. Gather all your favorite foodies and get them together to experience booths with great cuisine. This works really well with a mix of independent chefs or restaurants who all bring one dish. It helps everyone keep costs low and makes it so that your guests can experience a bit of everything. Just check your laws about food service and make sure everyone has any permits required. A lot of times organizations miss the mark on sharing what they do to potential supporters, just because they don’t know how to share their work in a way that is interesting to the people they want to build relationships with. What better way to share what you do, than to show it? Open houses or showcases are a great way to highlight your best work and the impact you make. They are also the perfect opportunity to give donors the chance to meet and talk to the community you serve and hear their stories straight from them. 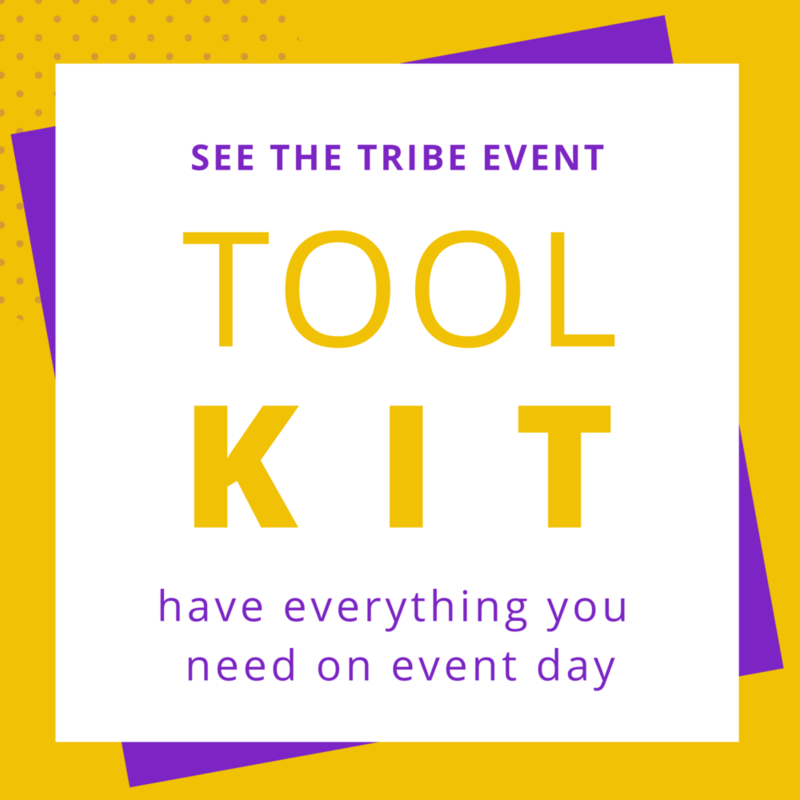 Strengthening your tribe this way is huge because it isn’t always appropriate at all events, but works very well at open houses or showcases. Is your nonprofit brand new, or rebranded? Don’t miss the opportunity to create some buzz around who you are and what you want to do for people. Hosting a ribbon cutting or launch party allows you to enjoy the benefits of being the cool new kid, and also gives you the perfect opportunity to find out who your people might be and what they’re interested with a smaller investment than a large event would require. With the addition of a few other small events throughout the year (think about one every quarter), this can naturally grow into your annual signature event in future years. Carnival games, bounce houses, and face painting, oh my! Add in a popular band or dj and a couple food trucks, and you’ve got a great event where people of all ages in your community can come together. Permits are usually required, and it might take a bit of finagling to organize all of the different activities or informational booths you want to include. Pro Tip: Because these events usually have open guest lists, sell Early Bird tickets instead of discounting right before the event if you’re considering selling discounted tickets at any time. It will help you get more RSVPs early on, which will help with planning and building attention. It also prevents people who bought tickets early on from getting upset at seeing discounts later. Or preventing people from buying tickets at all because it looks like no one else is. Nothing kills a guest list for years to come like discounting tickets right before an event. Your organization can celebrate spring by bringing people together to enjoy fresh air in a beautiful blooming garden. This can be a private residence or a community space, like a community rose garden. Just be sure to have this in the late Spring so that you have the best chances of beating the rain. Hosting a select group of people at your house, or another nice house is a great way for people to connect with everyone in the room. This is another event that can be whatever size works for you. You can have 10 of your closest friends come over, host at a board member’s house, or event rent out an Airbnb. You can have a potluck where you make the main course and everyone brings a side to share, or bring in a great caterer. The possibilities are endless! While I’m a huge believer that there is a magic that happens when people get to connect in real life (it’s kinda what this whole site is about), sometimes, that connection can happen virtually too. With platforms like GoFundMe, Crowdraise, and FirstGiving, online giving and crowdfunding campaigns are super easy to create and share. These are great, especially around the holiday season when people are really in the spirit of giving. Pro Tip: Keep your supporters connected by sharing more of the experience with them. Say you’re raising money to buy winter coats for kids whose families can’t afford them, or helping to feed people for Thanksgiving. Your donors might love if you sent a couple of pictures of the smiling faces of people they helped once the campaign is over. Since this is all about building a community, not a hierarchy, remember to be sensitive to the wishes of the community you serve and get consent from folks before taking their picture. There you have it! 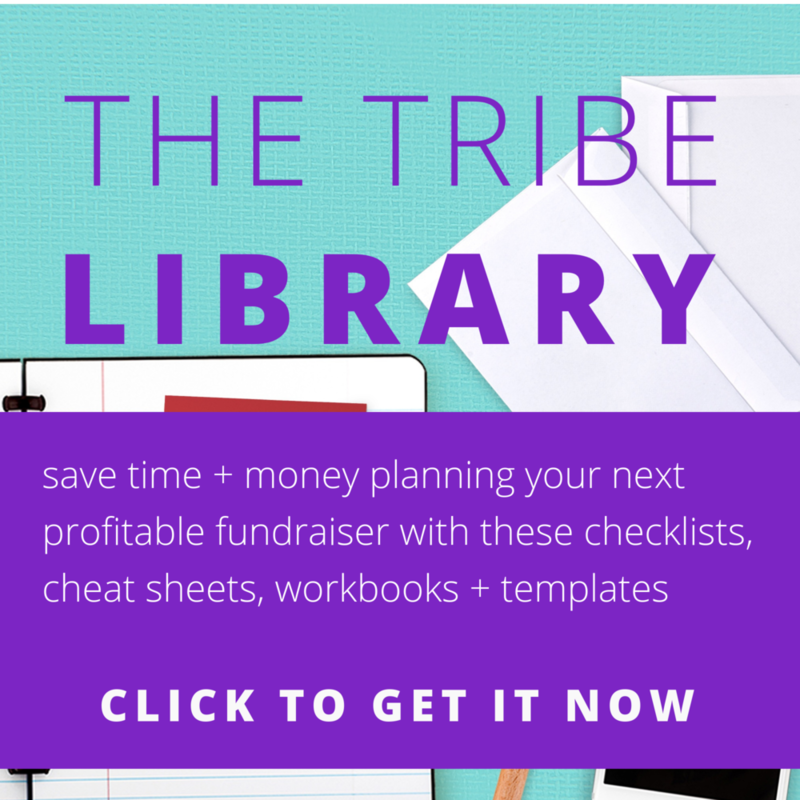 20 fundraising event ideas to get you brainstorming on what type of event might be a good fit for your tribe. Finding the right event for you is all about really getting to know your people, so don’t be afraid to think outside the box. There are lots of ways to test out your ideas with inexpensive events that you can grow over time. Want a few more ideas? Be sure to get the extended list below. I’d love to hear some of the unique event ideas you’ve tried, heard of, or attended. Be sure to share in the comments below!